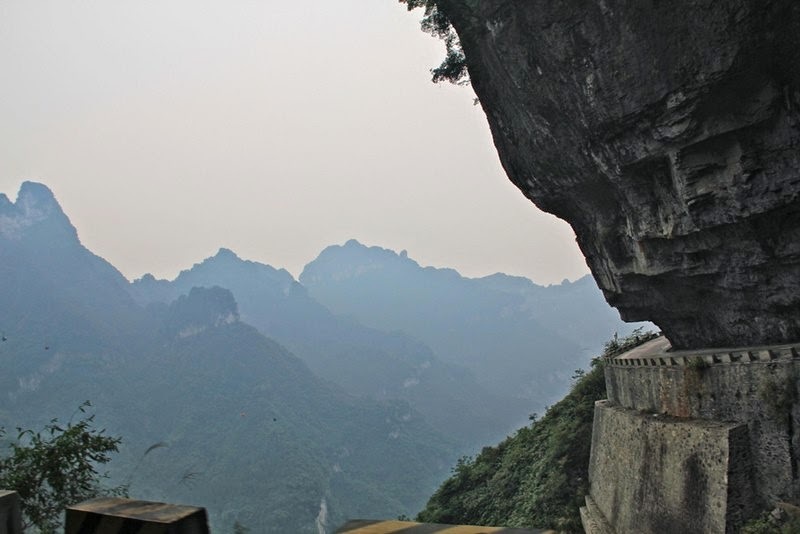 The Big Gate Road, Tianmen Mountain - The Heaven Linking Road, China The Big Gate Road also known as heaven linking road, located in the National Park of Tianmenshan, in the Hunan province of China. 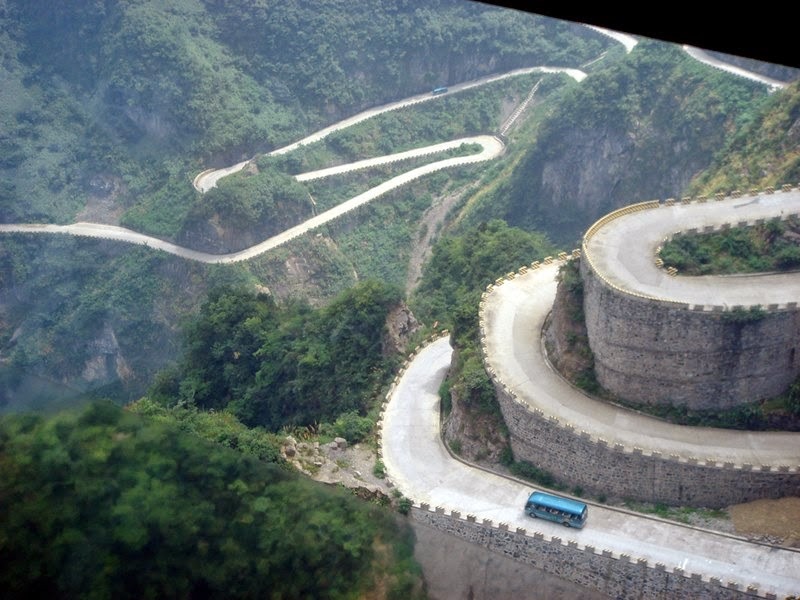 The "Heaven linking road" rather this is most dangerous road in China. 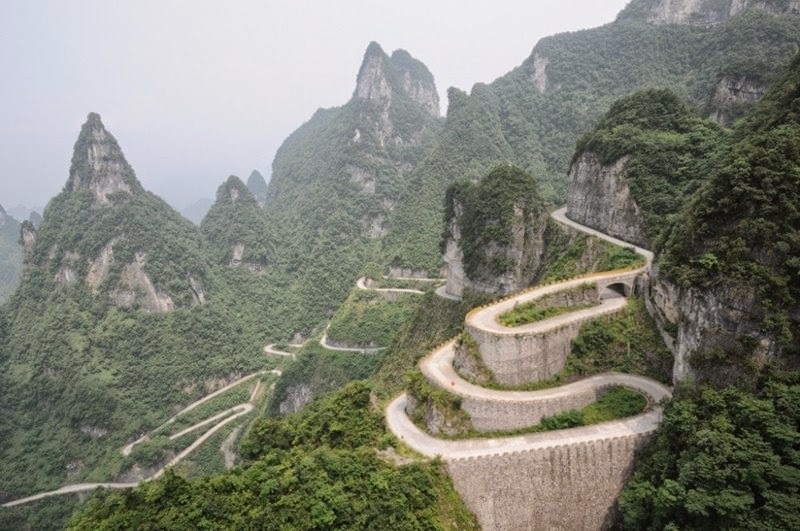 It starts south of Zhangjiajie city 200 meters above sea level and rises to 1,300 meters, with 99 blind turns, Sure, this increases the chances that you might end up in heaven in your car. 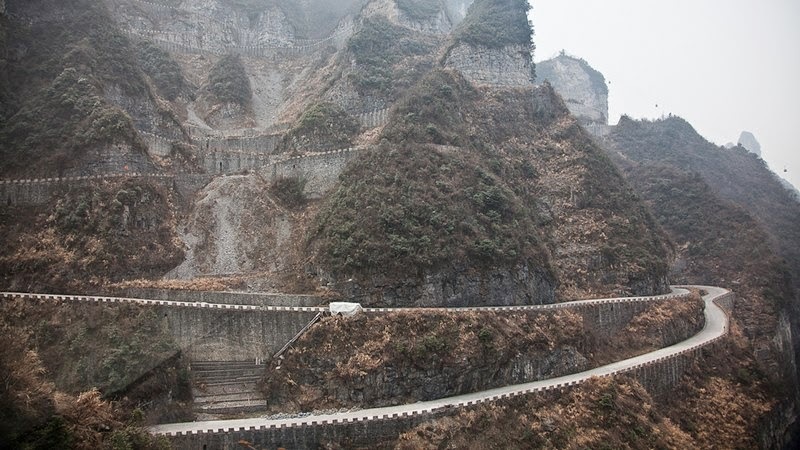 It is little wonder then that the road which was started in 1998 took eight years to complete. 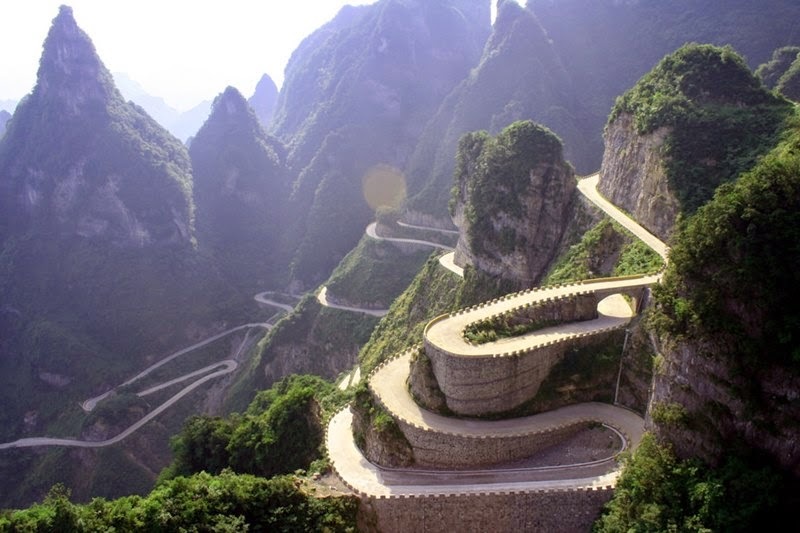 Its twists and turns are certainly not for the faint hearted. 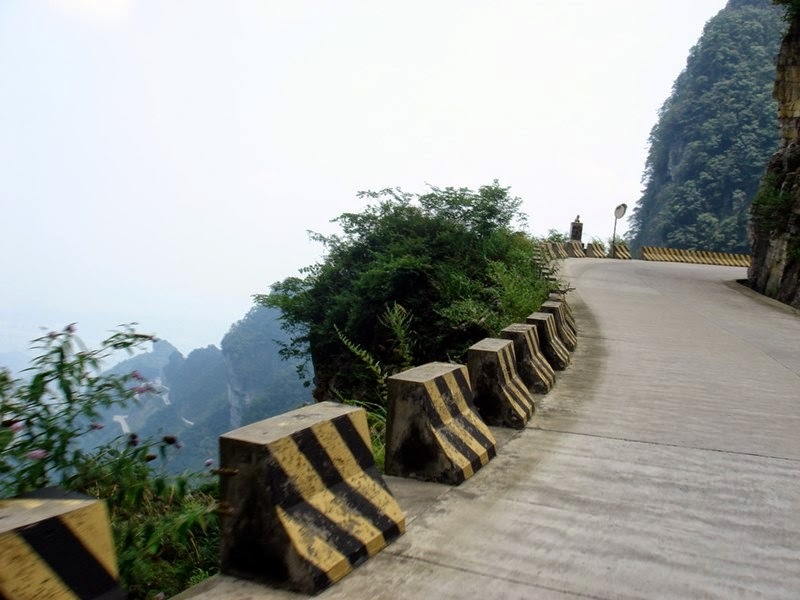 The road climbs Tianmen Mountain just south of Zhangjiajie City (which was previously called Dayong) is very much the must see scenic area in Hunan. 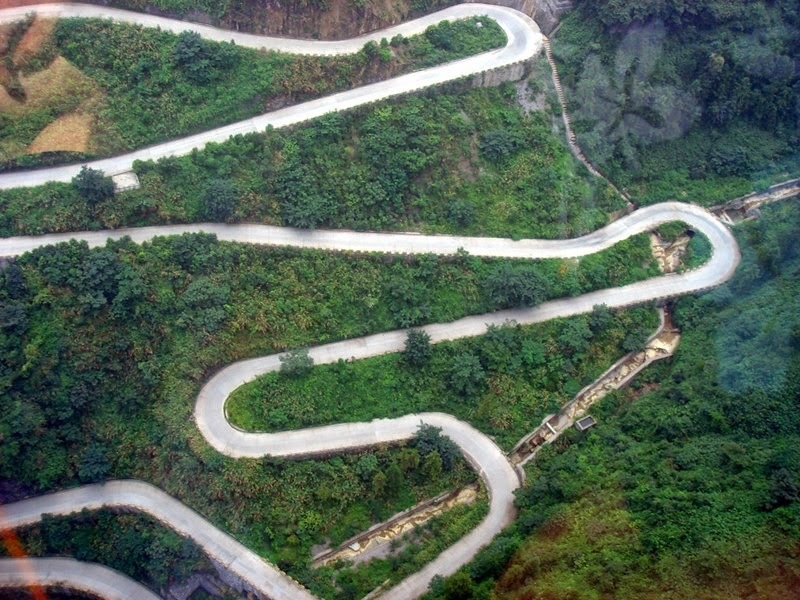 It is also called the road of 99 turns – nine is a lucky number in China as it symbolizes that heaven has nine palaces. 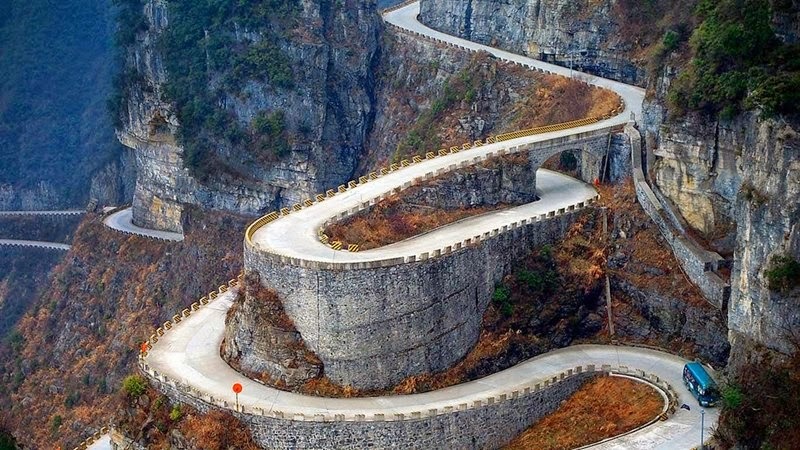 If the road is a little too scary for you, there is an alternative. 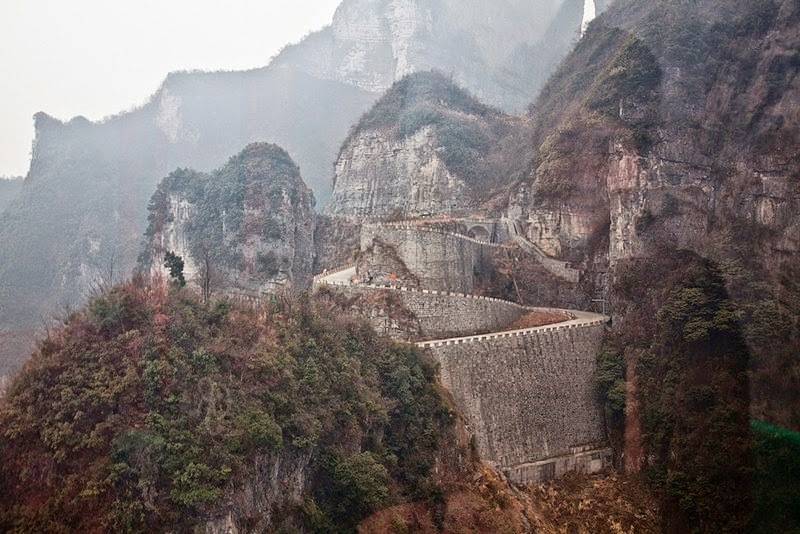 A cable car goes from of Zhangjiajie City to the top of Tianmen Mountain. 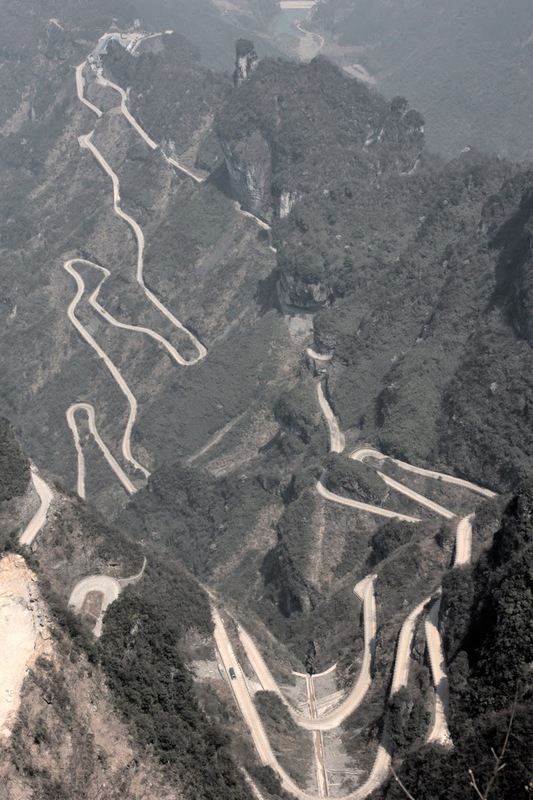 Sounds like out of the frying pan and in to the fire – the cable-way is 7455 meters in length making it, so the Chinese claim, the longest in the world.